The Royal Wedding - get the best seats in the house! See how our Kaplan Schools in the UK and around the world are looking forward to one of the biggest days of the year! London, the UK and the rest of the world have their eyes on the Royal Wedding between Prince William and Kate Middleton, one of the most momentous days of this year on the 29th April - whether you love it or hate it! The British Monarchy is the most famous in the world, to which contributed the rise and fall of the ever so missed Princess Diana. Now that one of her sons and heir to the throne William is getting married, all eyes are once again focused on the British Monarchy. 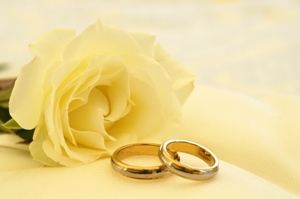 By now you must have read and seen many versions of the story behind the couple, but do you know where to see the action forthe special day? Wake up early, and by that we mean really early to get into London around 7am. The best viewing spots will start filling up very fast! 10.30 am. Prince William and Kate Middleton travel to the service. Kate will travel by car from Buckingham Palace, and William will leave from his father house, St James’s Palace. They will then cross The Mall, Horse Guards Parade, Whitehall and Parliament Square. 11:00 am. The Wedding service will commence at Westminster Abbey. The Dean of Westminster, the Very Rev Dr John Hall, will be conducting the service and the Archbishop of Canterbury, Dr Rowan Williams, will be marrying the couple. 12pm. The married couple will travel in a carriage procession to Buckingham Palace, crossing Parliament Square before going along Whitehall, Horse Guards Parade and The Mall. 12.30pm. The Reception at Buckingham Palace is offered by the Queen to the newlyweds with a selection of several hundred guests from the congregation. 01:30pm. The couple kiss on the balcony of Buckingham Palace facing the Pall Mall. For thousands, this will be the highlight of the day as the newlyweds greet the crowd from the balcony. There are plenty of mugs to choose from. After all, we are talking of a country who loves its tea and coffee. Flags - you will see them of all sizes and patterns. A word of warning - whatever souvenir you get, just be sure that you have the right couple on it! A Chinese company got it seriously wrong when creating a special mug for the occasion - having printed the photo of the wrong Prince. You can see that the names were printed correctly but unfortunately the photo didn’t match. 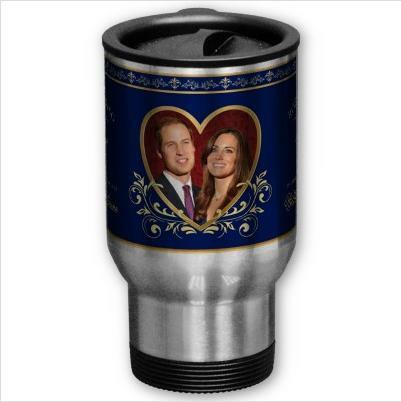 Instead of Prince William, his brother Harry made pride of place alongside Kate on the mug! Whatever you will do on this day, remember to share your photos with us, and most of all… have fun!